The growing popularity of modern eco building designs can be seen in how celebrities such as Prince Charles, Orlando Bloom, and Damien Hirst have embraced them and are even recommending them. 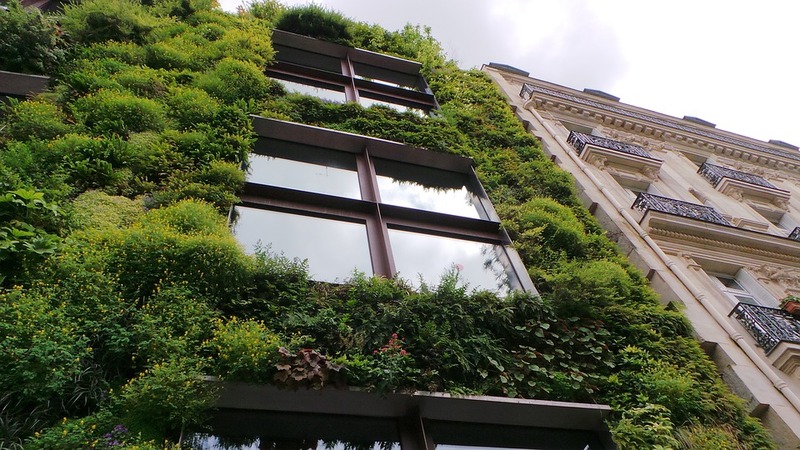 And even though construction of eco buildings or modifying an existing one to become more eco-friendly isn’t exactly cheap, especially in light of current economic realities, more property investors are jumping on the green bandwagon. The principles behind eco buildings or green buildings aren’t new. In fact, they’ve been around for centuries and can be seen in architectural designs that take advantage of sunlight and wind for heating, cooling, and natural lighting. The real difference between present day eco buildings, which are becoming increasing popular, is their wider use of advanced tech to achieve eco-friendliness. An eco-building can be described as a structure that effectively utilizes all natural resources available to it. Having such a home helps owners not only feel like they are contributing positively to the environment, it actually also saves a lot on energy bills. Energy bills savings in certain cases can be up to 30% or more. But asides from its social responsibility and money saving benefits, eco buildings are also garnering interest for their newfound money making potential. How are eco building owners profiting from their property? Through renewable energy grants. The growing popularity of eco buildings is spreading from Europe and the United States to construction hotspots such as China and Dubai, with China boasting one of the tallest and greenest skyscrapers in the world – Shanghai Towers. The cost of an eco building will vary based on a number of factors. Fortunately, most families have found ways to afford the eco building of their dreams either by performing construction the DIY way, or financing construction through development finance. Best part of such an investment is it can actually add to a property’s value, as seen in the case of one Cornwall eco home that cost about £82,000 to construct and ended up with a market value of about £500,000. For those seeking to begin an eco building but have a restrictive budget, there are several things to consider. One of the most important of said considerations is insulation. But regardless of the circumstance, it is important to bear in mind that the more eco-friendly a property is developed to be, the more long term cost benefits can be enjoyed from the investment, so it is wise not to compromise quality for cost. For instance, you might think triple-glazed windows are an expensive investment for your eco building, but in truth, they deliver better thermal performance which result in improved energy efficiency and cost efficiency. Other eco builders are opting for more eco-friendly materials asides from traditional mortar and bricks for their property development. Examples of such materials include earthbags which are bags stuffed with earthen materials and used in place of bricks. Other innovative builders are exploring the option of homes made from discarded plastic containers or recycled shipping containers. There are also those opting for more natural materials such as bamboo and straw, and these innovative options are gaining popularity around the world. To achieve greater results from opting for eco buildings, more property eco builders are engaging in energy analysis before engaging in a project. The trend of engaging in energy analysis is becoming increasingly popular especially thanks to increased availability of early-analysis tools that can be used to analyse building performance with the aid of building information models. Analyzing potential daylighting and energy use at each stage of an eco-building’s design process is critical to achieving a green building. For instance, if the entire interior of a building can be provided natural light, this greatly reduces the need for electricity for lighting purposes. With a comprehensive appreciation of the energy needs of a project, an eco building’s design team will be able to make informed decisions concerning mapping, building placement and much more. It is undeniable that eco buildings have grown more popular in the last year and are set to become even more popular as people and businesses become more environmentally conscious. What is important now are enabling legislations and incentives be put in place to attract more investors to eco property development projects. With such, more people will come to appreciate and seek to tap into the environmental and cost benefits of eco-builds.